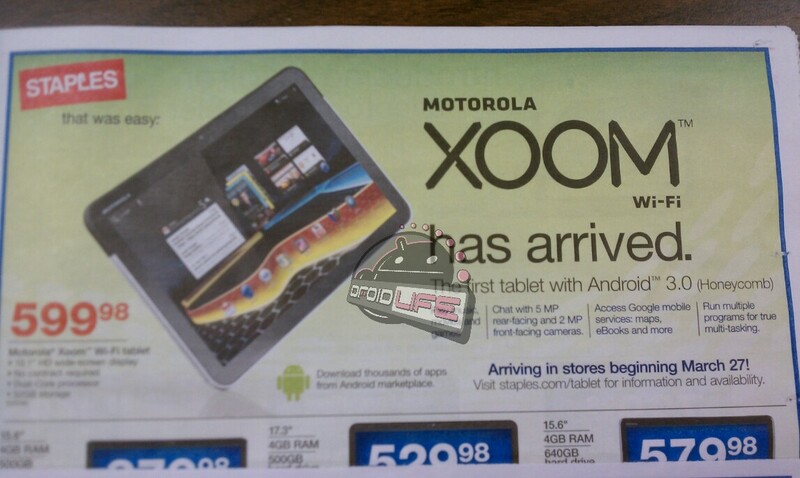 So as was mentioned previously, it was looking like Staples was going to be selling the wifi-only XOOM some time in early April, but from the flyer above it looks like it may be sooner on March 27th. Take that anyway you would like, we all know how much fun newspaper ads have been lately. We definitely got the pricing point confirmed again from this post though. It’s always dates that give everyone the run around. Don’t you hate that? So who here is getting wifi-only version? The price is much more user friendly, that’s for sure. Count me in!